Disclaimer! Even though this character is taken from the Kingdom Hearts series of games, he is an adapted version. For reasons of matching this game's theme, this version of Riku never met or had anything to do with any Disney characters. Instead, it was dark faeries from Arcadia who took him from his home on Destiny Island and sent him on his madcap adventures through the various worlds of reality, and instead of visiting Disney worlds, he's visited places like Effusia and Lasombra. Life has never been quite "normal" for Riku. He's one of those people who has always seen life as an adventure, wanting to go out and explore, brave new experiences, and see the world. However, because of the influence of the dark faerie, Ansem, Riku was duped into betraying his friends and serving as an agent of darkness. He has resolved never again to let himself be fooled into acting against his friends, and instead pledged to always stand by them. Redeeming himself by aiding in rescuing Sora from Ansem's dark designs, Riku has walked a long road and found at long last the path of Balance. While there may be a taint of darkness to him, Riku exists to prove that one's dark side need not always be such a bad thing. 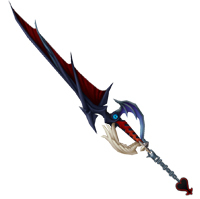 This blade allows Riku to open doors to other worlds and travel through them. It takes various forms, often bearing little actual resemblance to a typical key. 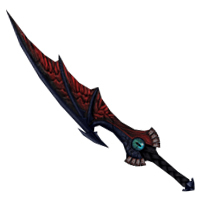 Its blade is razor sharp, and it is made of powerful magic and cannot be dulled or broken. It can be collapsed down into a pendant that resembles a tiny silver gem, and Riku can summon it at will. It does especially severe damage to creatures who are out of "light" and "dark" balance, while it does only minimal effect against beings with well-balanced souls. Riku can cast many simple spells, such as a fireball, a blast of freezing cold, and a simple lightning bolt. He can also cure minor injuries with magic. 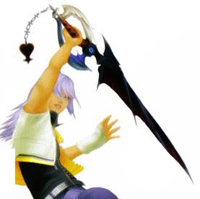 When wielding the Keyblade, Riku's magic makes him faster and stronger as well, enabling him to perform otherwise impossible feats of strength and acrobatics, as well as making him tougher against taking damage. 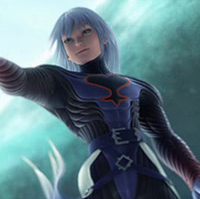 Riku has developed the ability to shift his form and clothing to fit the other worlds he visits. When he changes form, his clothing or appearance change and he gains abilities that suit the world he's visiting. Riku's magical abilities are strongest in this form, allowing him to cast advanced "dark magic" spells, but his strength is weakened. Riku's stealth and evasion are strongest in this form, allowing him to face many foes at once without taking harm, but his magic is weakened. 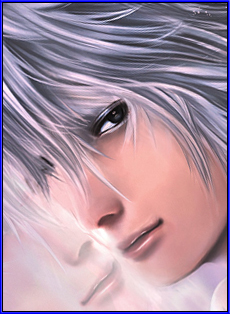 Riku's strength and speed are strongest in this form, making him best suited to straightforward physical combat in this form, but his stealth is weakened.